The study on which this infographic is based was made possible by grants from the Swedish International Development Cooperation Agency and the Dutch Ministry of Foreign Affairs and by UK Aid from the UK Government. The findings and conclusions contained within do not necessarily reflect the positions and policies of the donors. 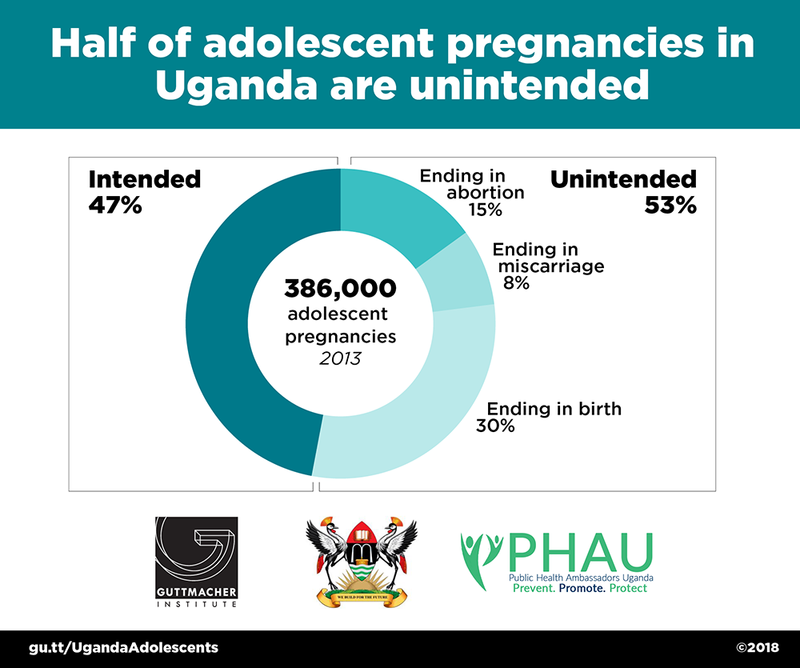 Elizabeth Sully, et al., Estimating abortion incidence among adolescents and differences in postabortion care by age: a cross-sectional study of postabortion care patients in Uganda, Contraception, 2018.